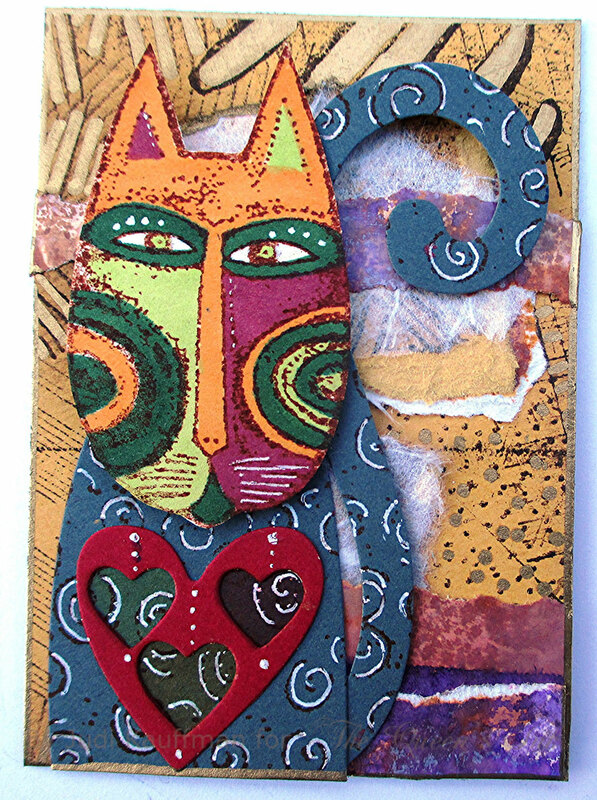 Mail art, mail art! 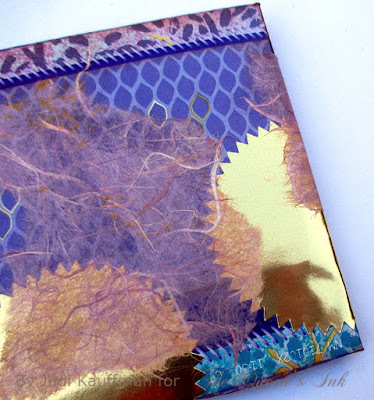 It’s time for some mail art…Faux (fake) postage, to be precise! 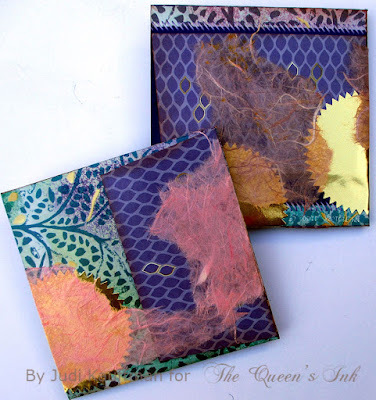 Have you ever made your own sheets of faux postage? 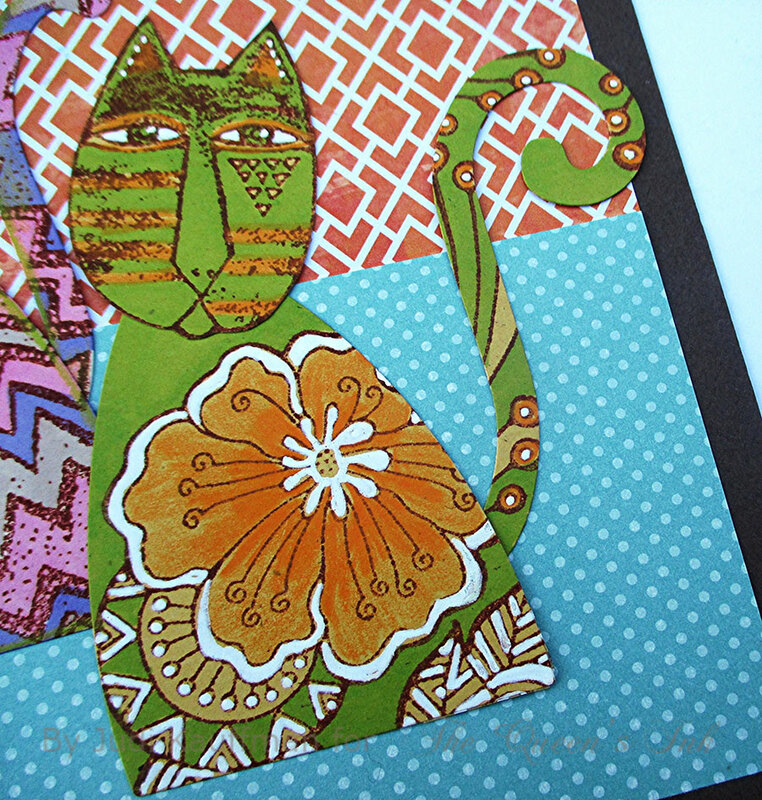 It was a trend a decade or so ago, but I and many mail art fans have never taken a hiatus. So welcome back if you remember it from those days (everything old is new again, right? ), and welcome aboard, newcomer, if it’s something you’ve never heard of before! For today’s tutorial, I chose Red Castle Leaf Plates 1 and 2. Each sheet has five large vintage image stamps filled with realistic and very detailed leaves and small type (each one large enough for the front of an A2 card). Creating faux postage is easy and fun and the hand-stamped sheets are perfect for cards, collage, art journals, ATCs, and to decorate envelopes. For envelopes: Position faux postage to the left of actual stamp, spaced so the post office knows you’re not trying to use your creations to fool them. Last time I checked at The Queen’s Ink, there were only a few Red Castle Leaf Plate 1 and 2 stamp sheets left, and that means once they’re gone, they’re gone forever. In fact, they may be sold out by the time this tutorial is published. But if they're still there and you like this tutorial and want the stamps, please don’t wait. 1. Use a graphics program to create a faux postage grid (dotted lines that look like perforations on a sheet of old-school adhesive-backed stamps). Print onto lightweight white paper. Alternatively, use a sewing machine with no thread in the needle to perforate straight vertical and horizontal on sheets of paper. Individual stamps for faux postage sheets shown: 1.25” x 1.75” and 1.5” x 1.5”. 2. Using a craft sponge, smudge two different inks across the perforation-printed or machine perforated paper, alternating colors. Shown: One sheet has vertical smudges, the other is horizontal. 4. Stamp a 3” x 5” rotary file card for each card front. 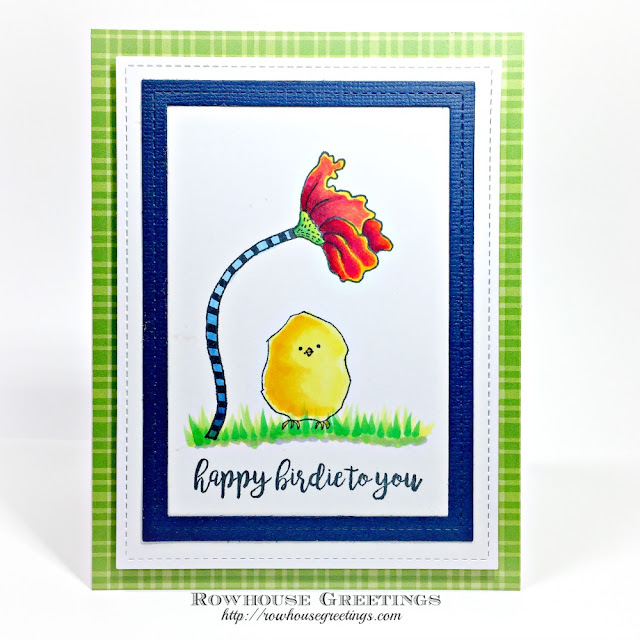 Smudge with inks in colors that coordinate with the faux postage sheet. For each card back, turn a second rotary card so that the tab is positioned in the opposite direction and add ink to that one as well. Score a line lengthwise on the top rotary card only and ink the ridge of the score/fold line. 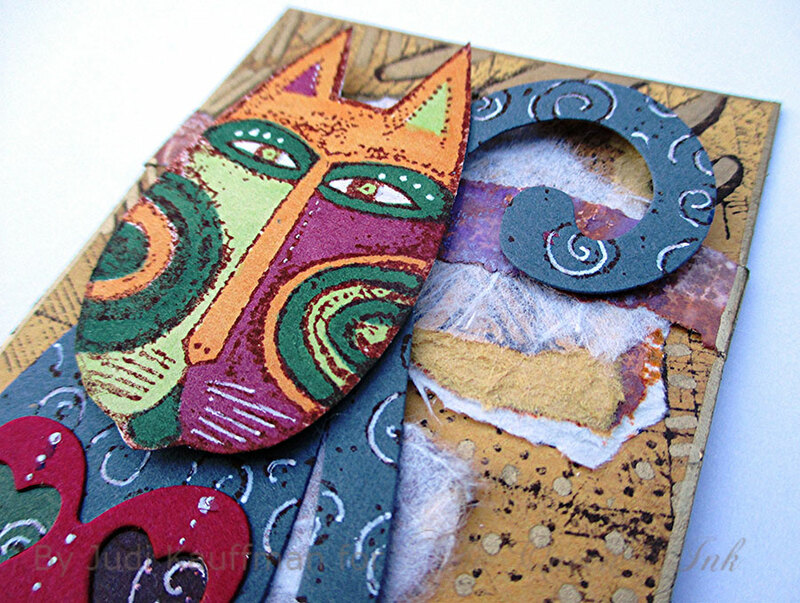 Using the Tim Holtz Tiny Attacher, staple each pair of cards three times along the score line. 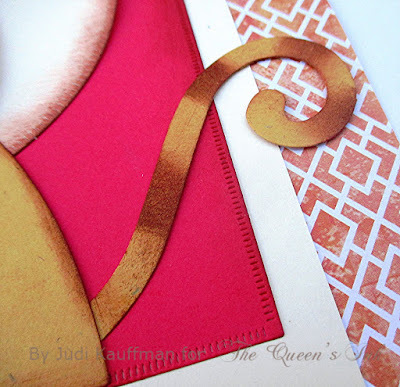 Stapling along the score/fold line allows the card front to hinge open like a folder. Options: Substitute index cards with die cut tabs or pieces of recycled manila folders for the rotary cards! 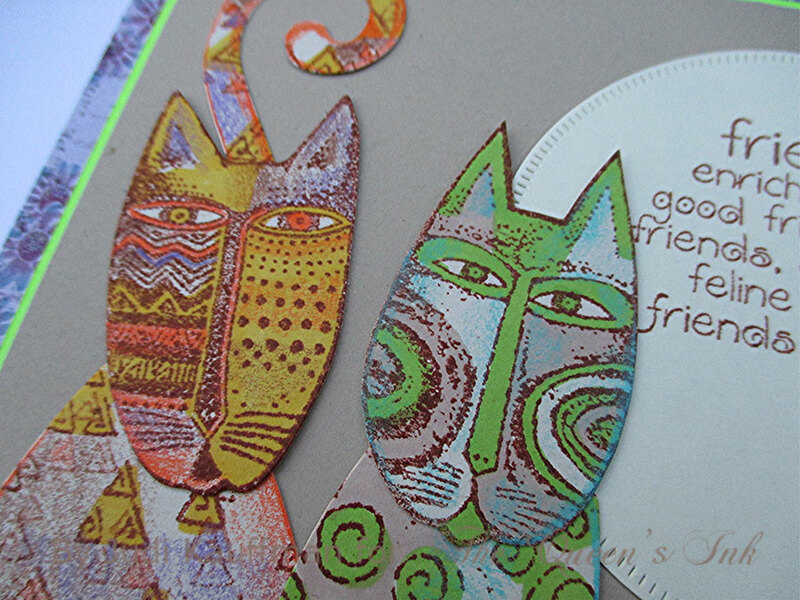 Before stapling the front and back, add un-tabbed cards and create a booklet. 5. 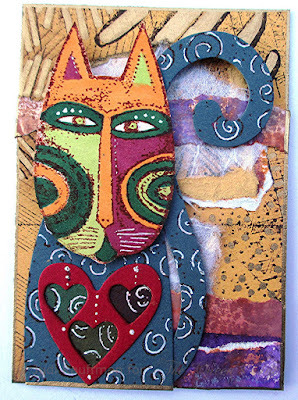 Add torn collage paper (shown: faux cork gift wrap) and faux postage from the finished sheets to the rotary card fronts. 5. While you’re at it, stamp a batch of envelopes! 6. Don’t forget the inside of the cards. Add an ATC-size clear sleeve to the inside of the card and tuck in a gift card, poem, love note, or an ATC. Stamp a sentiment, add more collage and faux postage. 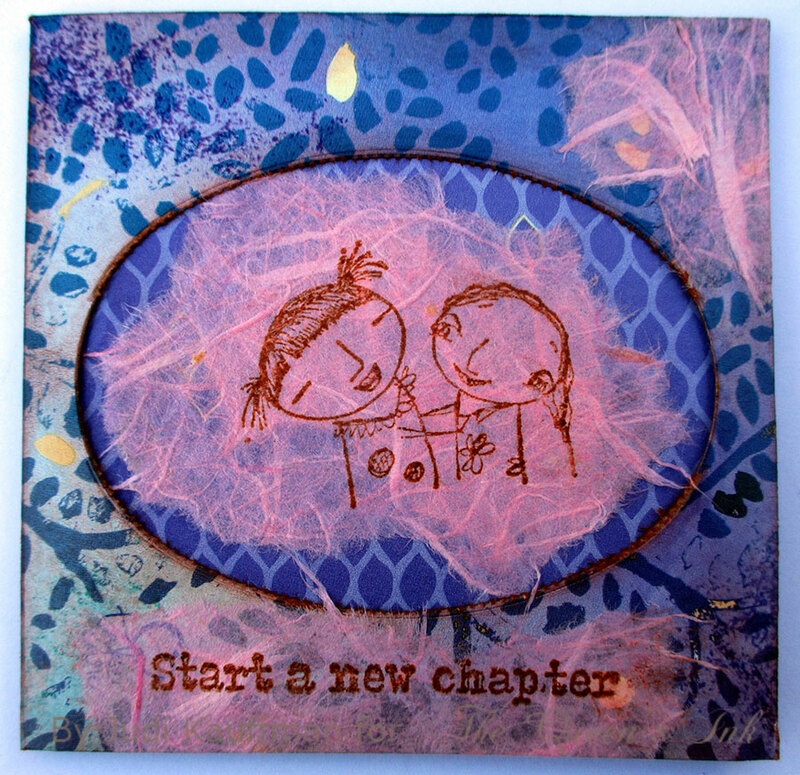 Today’s tutorial is a play on those words, with emphasis on the word ‘play’ since this project is playful and fun – recycling, re-purposing, with a touch of silliness thrown in for good measure thanks to the ‘BFFs’ and ‘Start a new chapter’ stamps from RubberMoon that I picked up at The Queen’s Ink! It all starts with a boutique tissue box that has something interested printed on it. (Almost all of them do!) Usually, the main portion of the box has one pattern and the ends that are overlapped and glued have a second pattern. 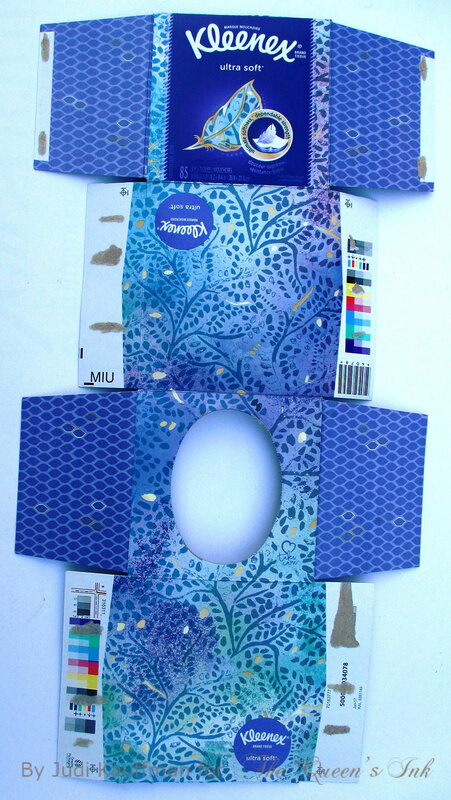 And the nice thing about boutique tissue boxes is the oval opening that provides a great frame without any die-cutting. One box provides enough cardboard to make two 4.25” x 4.5” cards, but as you’ll see in the ‘Options’ after the instructions, there are lots of other possibilities. 1. Carefully open the tissue box and lay it flat on a cutting surface. 2. Cut off the side pieces, leaving the four squares connected. Discard the skinny scraps, keep the four printed flaps. Cut the remaining piece in half, yielding two already folded card bases, one with an oval opening in what will become the front. 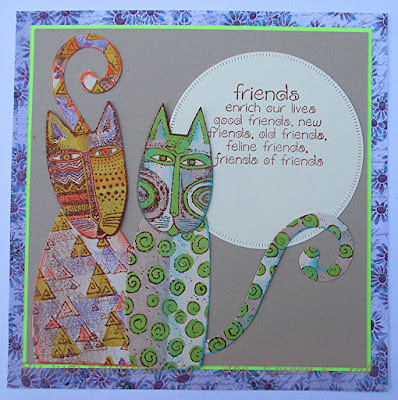 Trim as needed so front and back of each card base are the same width. 3. 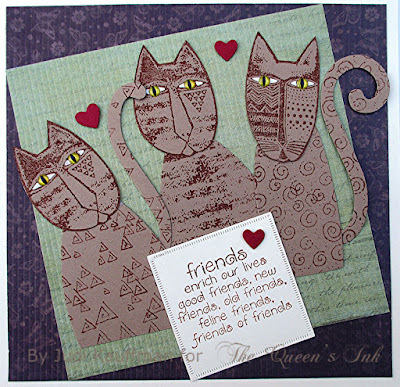 Using a craft sponge or dauber to apply the ink, distress all edges with ink in a compatible color. 4. 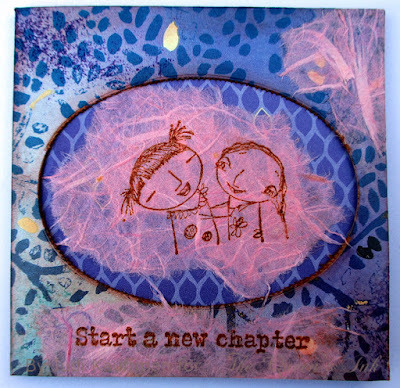 Using the same ink, stamp people, animals or other motifs that fit into the oval opening (shown: BFFs by Sunny Cavalho) and a sentiment (shown: Start a new chapter) onto lightweight mulberry paper. Leave plenty of space between them for tearing random shapes. 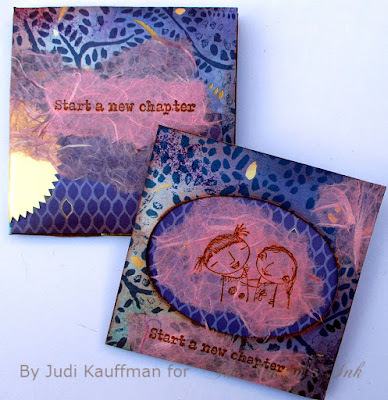 Tear around the stamped images and tear some extra un-stamped pieces. 5. Adhere one flap piece under the oval opening. Adhere another to the back of that card base. Adhere the remaining two flap pieces to the front and back of the second card base. 6. Create collages as shown or as you prefer, covering various areas of the printing on the front and back of the card base with gold notary seals or die cut circles. Tie it all together with the stamped and torn mulberry papers and be sure to leave some of the original printed patterns from the box visible. 7. 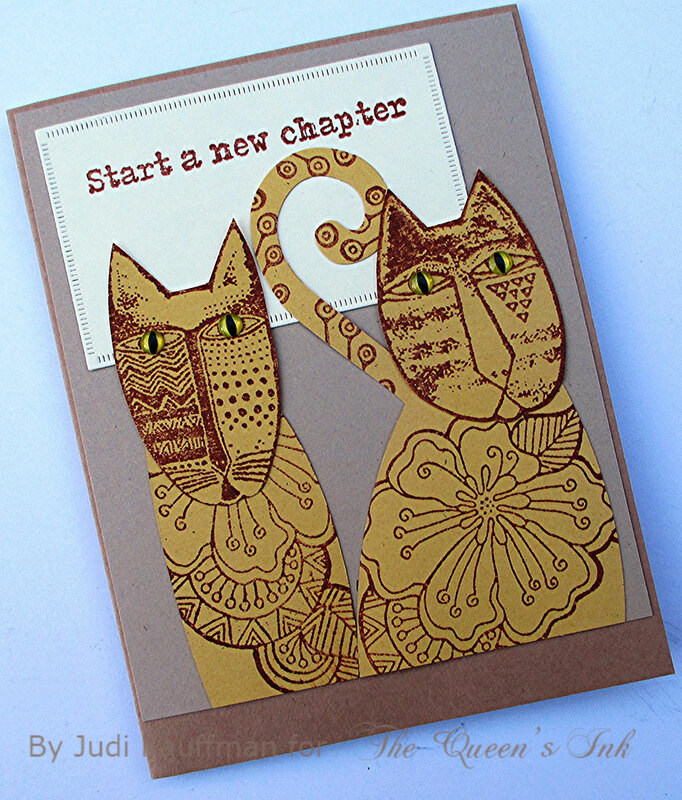 Line each card with more mulberry paper or other lightweight patterned or solid color paper. Use the side-fold cards as covers for a stitched book with one signature (2 sheets folded in half for 8 pages). 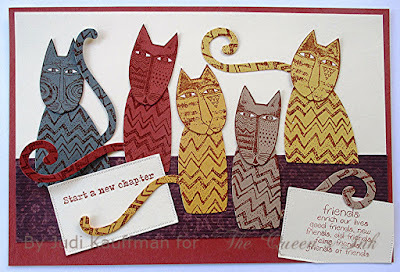 Instead of cards, layer the flap pieces over the folds, add all of the collage except for the stamped mulberry paper. Cut the resulting 4.25” x 16” down to 3.5” x 15”, and then cut into six 2.5” x 3.5” Artist Trading Cards. Finally, add the stamped pieces to the individual ATCs. 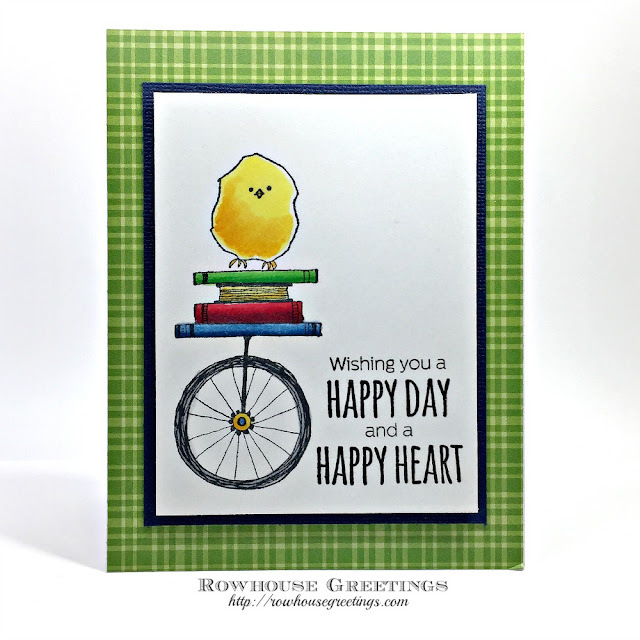 Use the oval opening to frame a photo, poem, or hand-written note instead of a stamped design. It’s your turn! 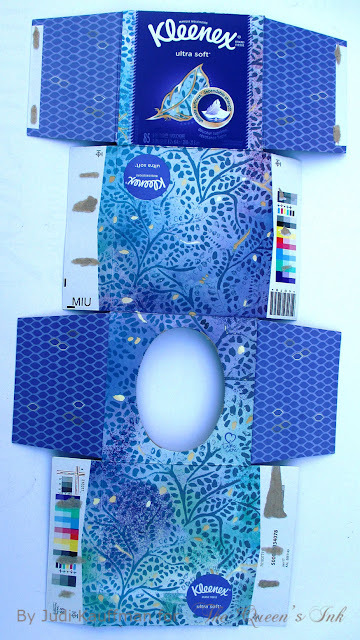 Get your friends to save their interesting boutique tissue boxes and see what you can come up with! 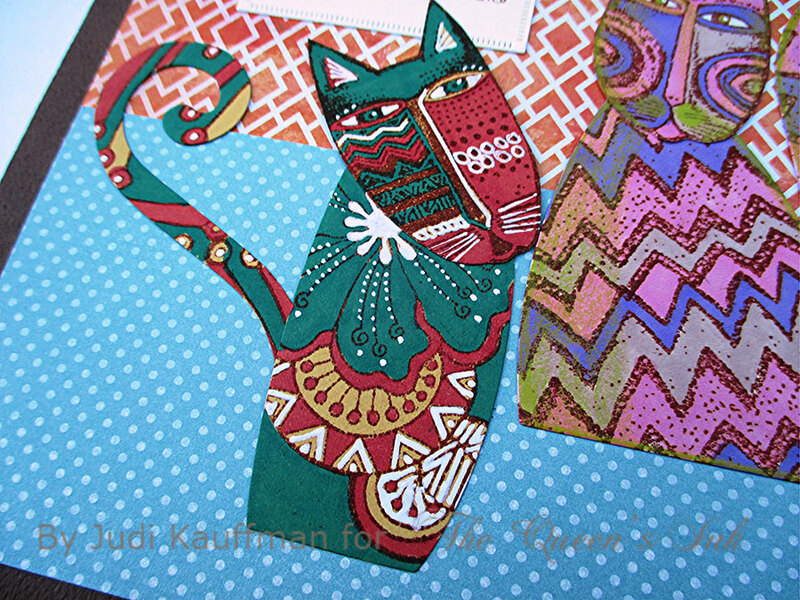 My last tutorial in January was Tribal Cats Envelopes featuring the Laurel Burch stamp set by that name. 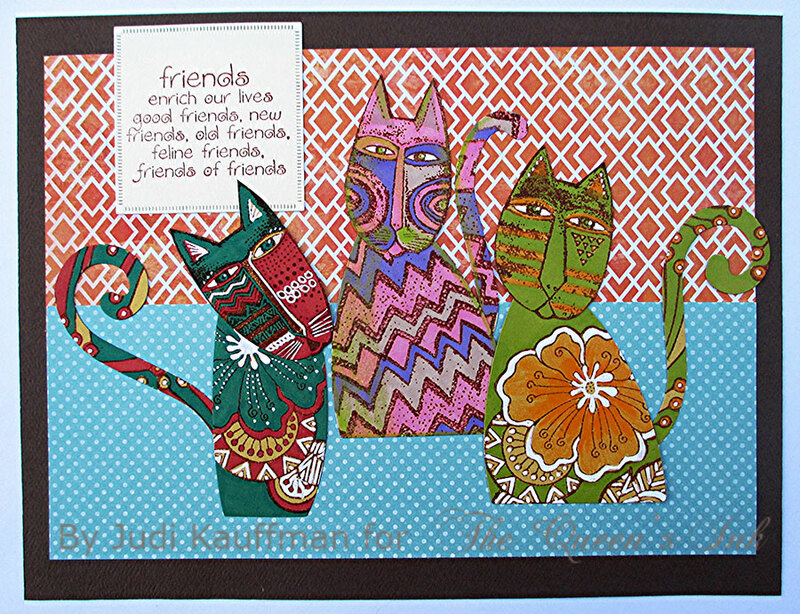 As promised, I’ve created an equally big batch of Tribal Cats Cards. 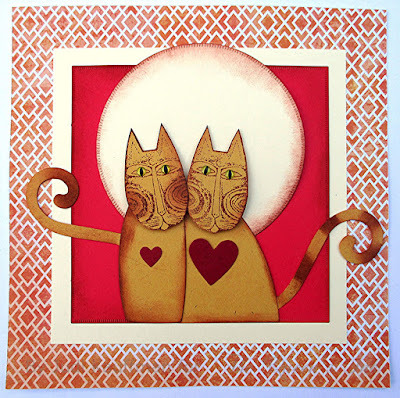 I made Valentines that could also serve as anniversary cards by tweaking the color palette, friendship cards for cat-loving friends, and a collage style Artist Trading Card, just for the heck of it (shown above). Only one problem: The envelopes I stamped are A2 size while only one of my cards and the ATC will fit! Oh well. I’ve got a box of manila envelopes I can use for the rest. And this change of direction gives me an excuse to stamp and color more envelopes. 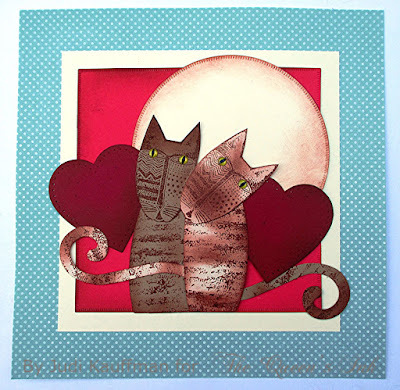 And make more small size cards and ATCs! 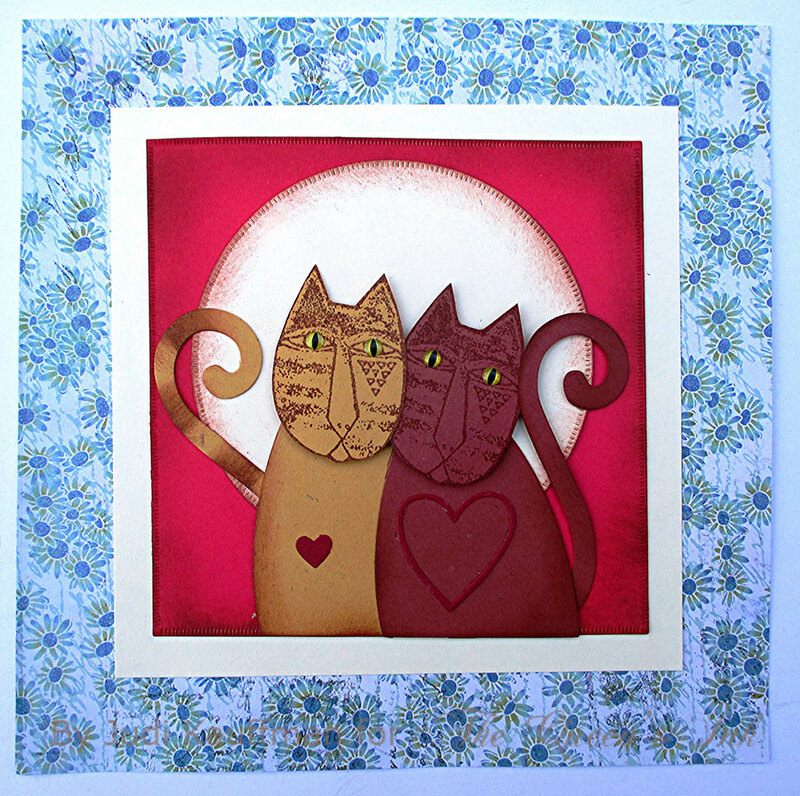 The remaining cards are much larger because there are more cats or because the tails take up so much more space or because I got carried away with the backgrounds, borders and sentiments…Squares measure 6.25” to 8”; rectangles measure 7” x 9.25” and 7.25” x 11”. 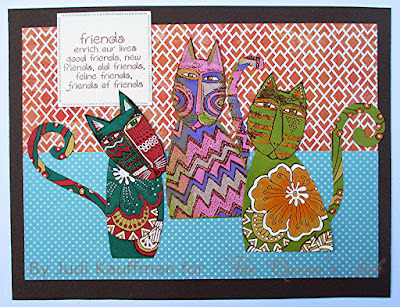 The card with five cats (the second photo below) is much bigger than the one with three cats above it - this is a quirk of the blog software that sizes the images to the same width. And that's why the ATC looks as big as the A2 card. Stamp the bodies and tails after they’re die-cut. This makes it easier to decide where the pattern should be. And it saves on the cardstock since shapes can be die cut close together. No need to stamp the bodies or tails if you want to simply smudge on color to shade the shapes and add details like striped tails. 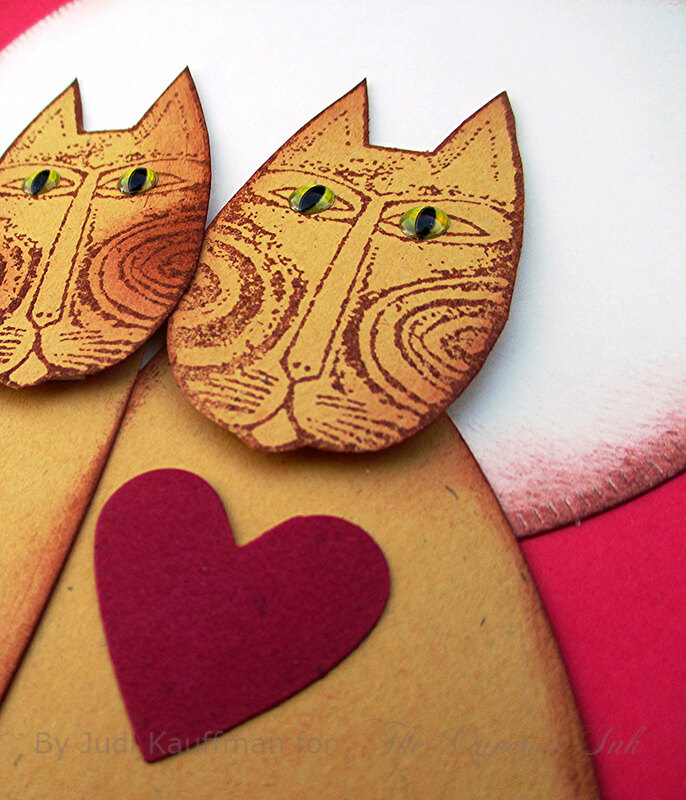 5mm “Cat’s Eye” stickers are a nice way to add dimension and some extra sparkle. Mix in floral patterns from Laurel Burch’s Blossoming Woman stamp set for bodies and tails. That’s what I used for the earlier A2 card as well as the over-sized card shown below. 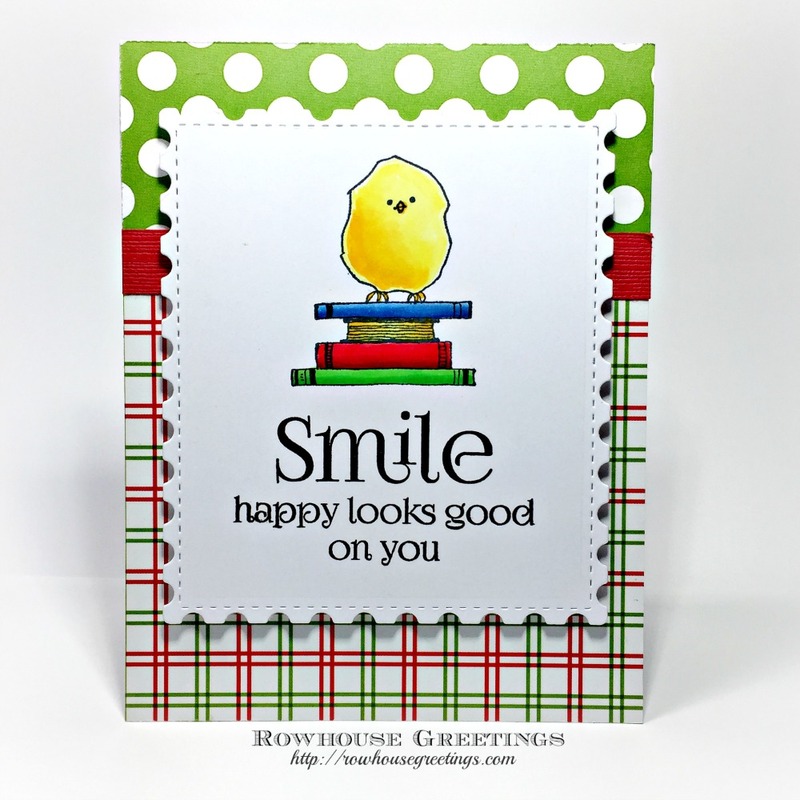 Stamped sentiments on squares, circles and rectangles add contrast. The circles give the effect of a moon, don’t you think? Use colored pencils, markers, or a mix! 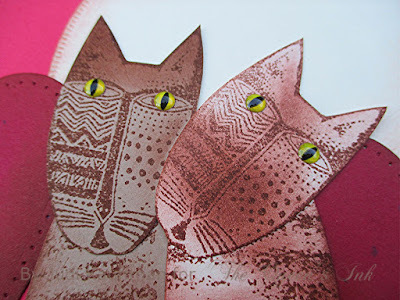 Add dimension by allowing some of the cats’ tails to curl upward and by using foam tape underneath their faces. 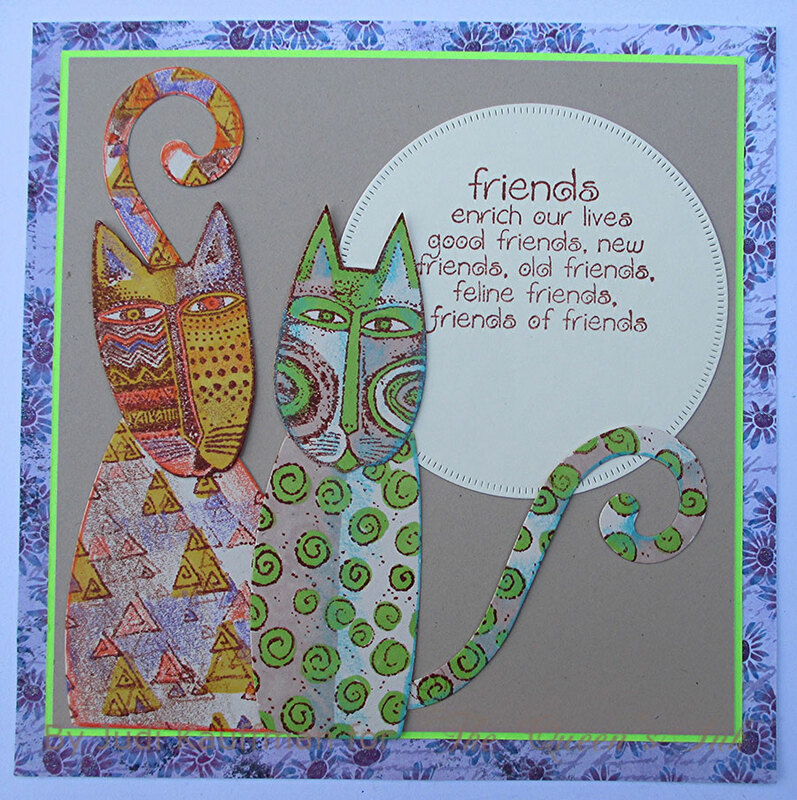 Have fun with patterned papers as well as solid colors when you create layers and borders on the finished cards. 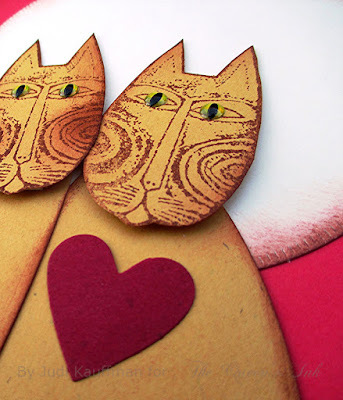 To make the cats more expressive or affectionate, turn their heads at an angle. Use the non-curled end of the tail instead of the curly end now and then. Trim the die cut shape as needed. 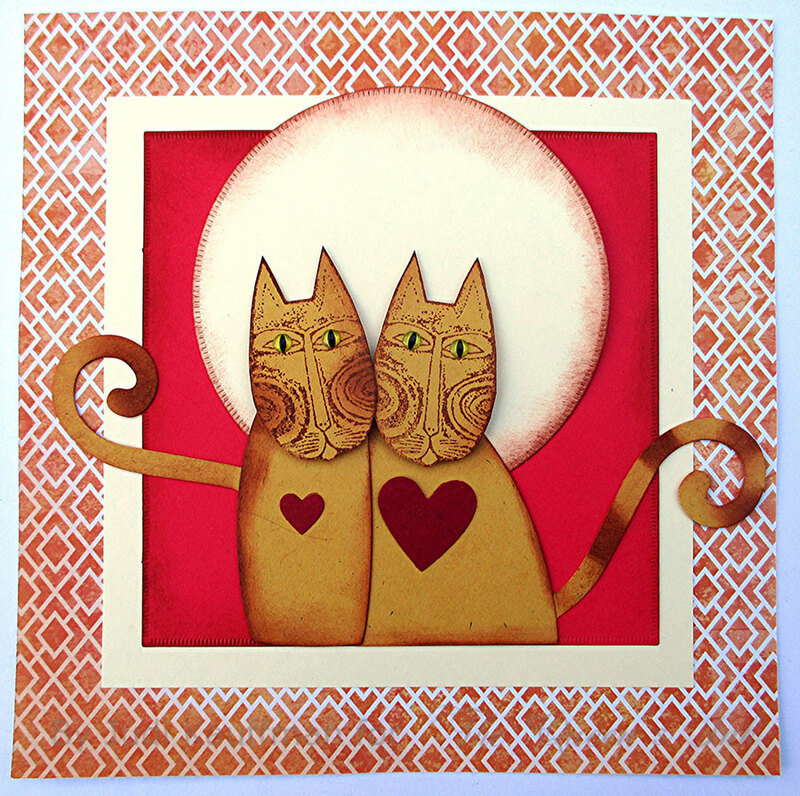 Flat, oversize cards can be displayed on a tabletop easel, framed, or add a top-fold card base so they stand alone. I'm returning to the The Queen's Ink on Tuesday, February 27th to teach a Copic marker card class. In this workshop, we'll make three cards featuring stamps from RubberMoon and sentiments from Penny Black. The images are colored using a very limited set of Copic markers. Details are below. All necessary techniques are taught in class. Seats are limited, so sign up today!